Elk hunting as any other types of hunting requires preparations and enough knowledge. Sometimes, it may be dangerous to deal with the elks; however, there are dozens of special equipment to make it easier and safer. To lure an elk close you need to have a good one call of a high quality that can produce different sounds and tones. Do not think that using a call can be easy as it usually requires skillful operating. Looking for a call that won’t become a burden for a hunter is a great idea and we are happy to help you with it. Here are the most popular elk calls that can help to succeed in elk hunting. Primos is the most popular and wide-spread brand among hunters. They produce high-quality gear using extremely durable materials and creating extraordinary designs so you can use it in the harshest conditions. This pack for calling elks is one of such equipment that makes hunter a step closer to a success. The first thing that comes in the pack is Super Pack Bugle that is easy to carry and it produces calf, cow and bull sounds. It has the patented blue snap-on reed and mouthpiece with support shelf. You can extend the bugle from 13” to 19”. Hoochie Mama is another item in this kit that provides fool-proof operation. You simply push for cow elk sound whenever you need it. The design of it is tunable and produces mews, cow calls and estrus cow sounds. Moreover, it is absolutely freeze -proof. The last thing in the kit is the top pin that turns out to be rather sensitive call. It provides low volume bugles for close-in calling. Some of the customers did not receive the white mouth call. The Terminator Elk System is made to produce elk’s sounds in the most accurate and easy way. It can be used with any of Primos elk mouth diaphragm calls. However, to have better effect you should look for additional purchase of Primos Sound Plate calls. This is the call that reproduces accurate elk sound and tone! Thanks to the resonator end you can duplicate an elk’s voice chamber for accurate nasal elk tones. The support shelf mouthpiece allows you to produce bugles and cow calls easily with the less air pressure than it is usually required. It comes with the patented blue snap-on reed that is durable, provides you with enough tension and tones. For a better storage of the reed there is a cap. It also comes with camo cover and sling lanyard. The construction is a bit big. It’s not that easy to master a sound like a cow elk. However, thanks to the Hoochie Mama cow elk push call you can do it easier. You have to push the bellow for a good cow elk sound with the distinctive sliding note. The call has a twist that provides you an opportunity to switch the mews like lost cow call and estrus cow sound. It is made with the use of the recent innovative technologies to make the gear perfect. 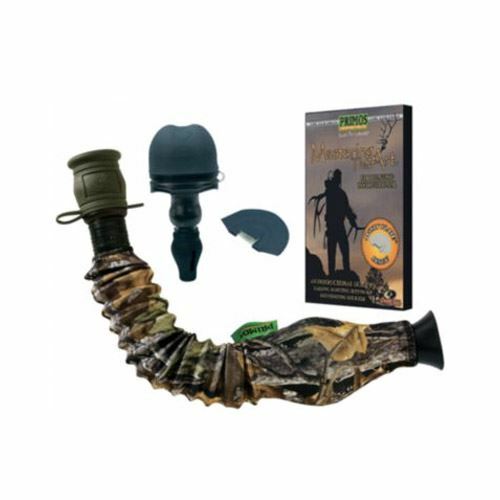 Improve your skills of calling elks and succeed in producing high-quality sounds with Hoochie Mama Call. It allows a fool-proof operation when you have just to push to produce the cow elk sounds. Thanks to the tunable design, it produces variety of the authentic sounds. A big plus that it is absolutely freeze-proof. Can be tough to change the sound. 4. 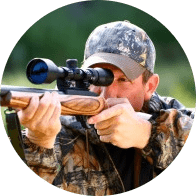 Carlton’s Calls by Hunters Specialties Mac Daddy Elk Call with Infinity – A Great Call For Newcomers And Big Game Hunter! This is may be the easiest call to use you may look for as it makes such an authentic bugles and nasal cow calls. Even a beginner can learn how to use it and the big game hunter can experience its most excellent performance. The kit includes mouthpiece and removable baffle, little removable grunt tube and lanyard with 4 loops. Mouthpiece represents the Infinity Latex. Baffle tones with the low volume are used for close-in calling. The kit comes with camo cover and the instructional DVD. The reed should be made of the better quality to last longer. 5. Primos Elk Select 4 Call with Case – Calls That Fit Your Pocket Allow A Great Range Of Sounds And Tones! There are a few reasons why you definitely should get Sound Plate calls. With the Sound Plate you can produce cow and bull sounds using only single call that automatically sets itself at the right angle. You will enjoy the calls during the whole hunting season as the call supports the reed which is not going to stretch! There are 4 different calls: Sentry Plate Single produces cow, calf, and spike bull sounds. Ivory Plate Single also produces cow, calf and satellite bull sounds. Imperial Plate Double is for cow and herd bull sounds. Hyper Plate Double repeats estrus cow and raspy herd bull sounds. All the calls come in a case. It takes some time to learn how to use the calls right and to master producing the sounds. This single light Latex allows hunter the versatility of producing any cow and bull sounds. It is gives an opportunity to create even more realistic sound and more qualitative than ever before. Now it is much easier to obtain various pitches and make more durable call. To make Palate Plate work you have to place it forward in the mouth, behind the upper teeth. It keeps you from gagging and allows you to control the latex. To make low tones you have to make less tongue pressure. Palate Plate stops the latex when the tone is too high. Thanks to the Palate Plate, the latex is long lasting and easy to blow. The tone of this call is realistic. It doesn’t come with the case. 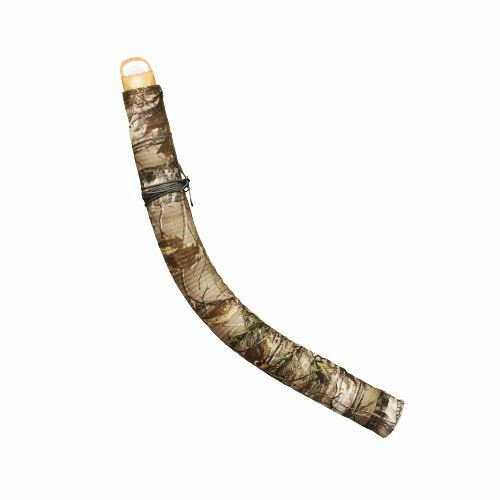 Rowdy Bull Bugle makes any elk sound you want especially with the use of different replaceable reeds that you may purchase separately. It is easy to use and master. 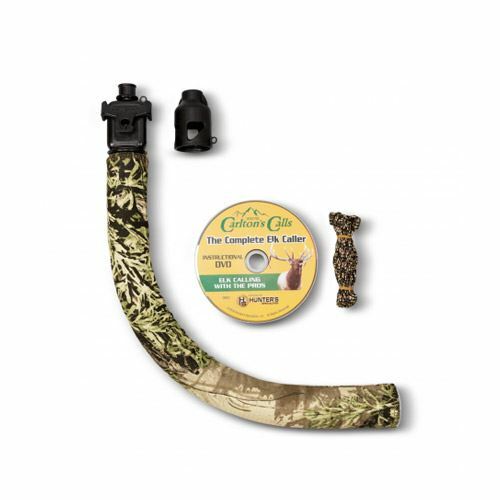 The bugle comes with a Single Reed Tone Trough diaphragm and a tube with camo cover and lanyard. You can use the Single Reed to make the high-pitched bugle. The Triple Reed is for making a deep sound of a big one bull. Double Reed and 2.5 Reed can be used for other sounds. The call is rather small and compact that easily fits in the pack or can be attached around the body for comfortable access. It does not make a deep grunt. 8. Primos Imaka Da Bullcrazy Call – This Thing Will Drive Crazy All Animals Around! Such weird and funny name like IMAKA DA BULLCRAZY was given because the call is so effective that we have tested during the trial period of elk season. You have just to squeeze the call and to choose the right pitch. This call allows experiencing what the real cow language is. 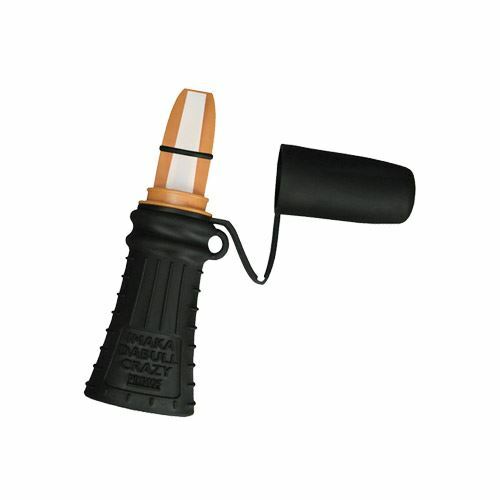 It comes with the mouthpiece for normal or close-in calling. It is rather manipulatable. May not be an easy call to use for a beginner. 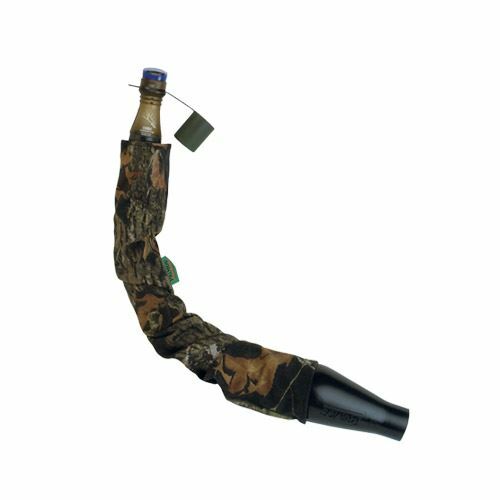 The Boss Cow Call is an open-reed elk call that produces loud sounds of cow moos and bleats. It makes all bulls around to go crazy with the estrus sound. It also can produce rather authentic low nasal sounds that remind an old cow. It has an adjustable frame for making the desired sound avoiding unnecessary movements. A special design like walnut-and-maple wood looks so good same as its sounds. The call comes with lanyard. The instruction of the call’s use doesn’t describe everything in details. There is no cover cap for the protection. Elks are extremely vocal that you will be amazed by the noise they produce. The hunting season matches the rut period, mostly in early September till the late November, however, it depends on the region. A cow in estrus produces mews and whines when it searches for a bull, and the tone is different by the length and the pitch. If you want to lure a bull you should use the cow in heat call as the bulls are rather competitive with one another if there is a cow around. Bull used to bugle during the rut period. Bugling helps them to show own dominant position among other elks in the attempt to attract the cow. Learning how to bugle can help a hunter to lure an elk. Bulls use raking when they want to mark the territory. Chuckling is used by the bulls to show the dominance. Chirping is produced by the cows being in the herd. This is quite common noise so there is nothing to worry about. The most uncertain sound which is produced by elks is mewing as it can mean an alert or a search for a bull. When the elk barks it means there is a danger. To let know the bull that there is a cow in heat it is better to learn estrus scream. This type of call is handheld equipment that you should blow in. The air goes through the reed that has an appropriate shape; as a result you produce the sound of the elk. The tones depend on the call’s design. 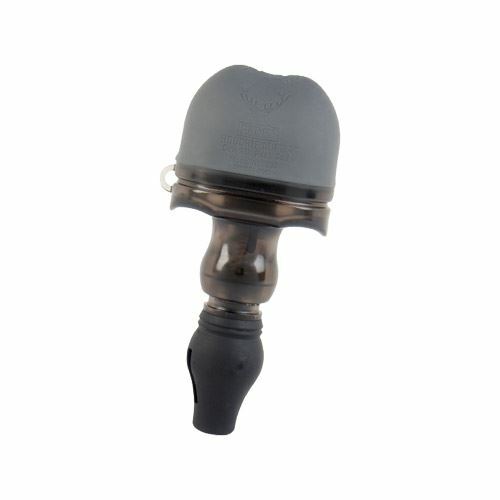 Some of the calls can produce various sounds if you change the pressure using the lips and the breath. There are such reeds that make hunter to use more pressure by squeezing the call. It is not difficult to learn using the reed. However, the bad thing about the mouth reed is that after a prolonged use it is fouled with the saliva that makes the reed stop working. This call works when you squeeze it to make the air go through the reed. 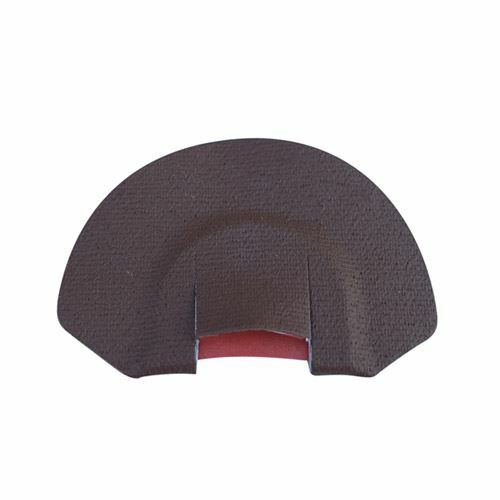 It is easy to use this type of the call and it is rather durable in work. However, this call requires holding it all the time. This call was made to produce bugling like a bull elk does. It is a mix of diaphragm call and the tube. Thanks to the tube it is possible to make a sound of reverberation while the diaphragm reed allows making real-like elk’s bugling. The pressure on the latex can be changed to make more authentic sounds. First of all, it is important to look for an elk call that would be difficult for you to learn how to use it. 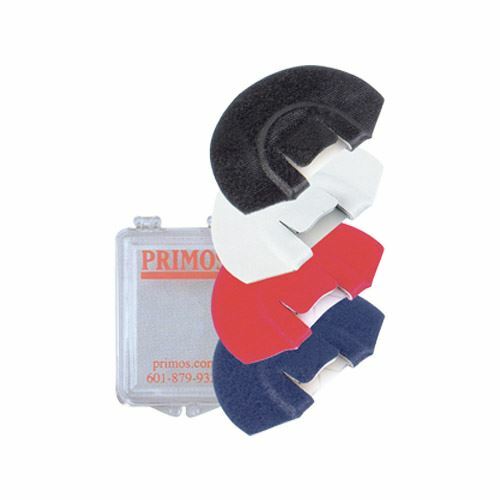 There are various calls by Primos as this brand produces manual and palate plate calls which are pretty easy to master. Do not prefer buying a kit of different calls. It is better to choose a single compact call that allows a choice of producing a range of sounds and tones. The most typical mistake of the beginners relates to the purchasing mouth reed call. You should know that there are 1/2 and 5/8 reeds. The first one fits a narrow palate while the second one is for wider one palate. If you get the wrong size of the reed you definitely risk producing a bad sound. Knowing simple facts about the communication of the elk any hunter is close enough to succeed. Choosing the right call is another step to make everything right but these tips will help to avoid typical mistakes and to hunt an elk. Every hunter knows forehead where to hunt better. You should not come to the spot and start the action. The first thing you have to do is to watch elks. You should observe their behavior, style of the communication to determine what sound would be better to produce. You may choose a great spot and have an excellent gear but if you don’t know how to make your call work properly there’s no sense for anything of that. There are many videos on the Internet where hunters provide tutorials and share with own experience. Learn how to make different sounds and tones. It is recommended to use a strap for your call. It always happens fast and you need to take the gun but not to lose the call. It is not only boring to hunt by yourself but sometimes it is pretty difficult. Hunting with someone can ease the whole process as you can shoot while your friend produces the sounds. There are plenty of elk calls on the market that gives authentic sounds to attract the animals. All the above described calls can provide you with a good sound if you practice and learn more about elks’ communication.